Examining Aggressive Driving Crashes FL | Gonzalez & Cartwright, P.A. 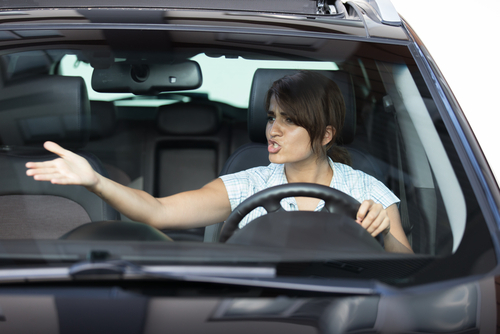 Aggressive driving is one of the most dangerous forms of driving in Florida. It can be just as dangerous as distracted, drowsy, and impaired driving because the driver is knowingly driving using aggressive tactics. The official definition for aggressive driving from the National Highway Traffic Safety Administration (NHTSA) is “the operation of a vehicle that is likely to endanger or endangers property or people.” A large portion of the more than 6,800,000 car accidents in the United States each year are believed to be caused by aggressive driving. Aggressive driving all too often escalates to road rage, which can end in tragedy. It’s in your best interest to be a defensive driver and always be on the lookout for hazards or aggressive drivers so you can safely maneuver your vehicle out of the way and towards safety. The injuries caused by aggressive driving accidents can be quite tragic. You could suffer a concussion, another type of traumatic brain injury (TBI), broken bones, dislocated bones, vision problems, amputation, paralyzation, disability and many other injuries. The most tragic of accidents, which usually involve road rage, can end in death for you, a passenger in your car, another driver, a pedestrian or anyone else near the incident. The moments immediately after an aggressive driving crash will have a major impact on the success or failure of any potential lawsuit you decide to file or if you wind up being charged in the crash. The most important thing to avoid doing after an aggressive driving crash is admitting fault or placing blame, whichever side of the accident you are find yourself on. Human nature causes guilt and this leads to an apology when you are at fault. At the same time, anger could get the best of you as a victim and place the blame on the other driver. Call 911. Don’t assume that someone else who was involved or who witnessed the accident will make the call. This could lead to no emergency personnel showing up to the scene. It’s better to be the fifth call to 911 than there being no calls made at all. If you are not seriously injured you should take pictures of the crash scene, including evidence, debris, road conditions, your vehicle’s damage and road signs and signals. Speak to those who witnessed the accident. Ask them to remain at the scene so they can give a statement to responding officers. 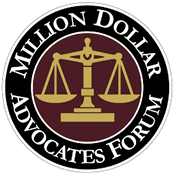 Exchange information with them that you can give to your personal injury attorney. Look at the houses or buildings around to see if any of them have outdoor security cameras. You could knock on doors and ask the owners to speak with the police about their footage. If you were injured by an aggressive driver in an accident you will need to prove negligence when you bring a claim against the other driver. You will need to show that the aggressive driver owed you a duty of care, the driver breached that duty of care, the actual and proximate causation of the action and that you suffered actual damages in the accident. Did you or a loved one sustain serious injuries due to an aggressive driving accident in Florida? Don’t let the medical bills pile up while you wait for the negligent party, or their insurance company, to do the right thing. Right now, you need an aggressive personal injury attorney on your side, fighting to get you the compensation you need, want, and deserve. The skilled attorneys at Gonzalez & Cartwright, P.A. 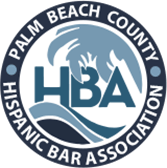 represent clients injured because of aggressive car accidents in Fort Lauderdale, West Palm Beach, Hollywood, Boca Raton, and throughout Florida. Call (561) 533-0345 or email us to schedule a free consultation about your case. We have an office conveniently located at 813 Lucerne Ave, Lake Worth, FL 33460, as well as offices in Pompano Beach.